A few images of some recent cards I've made. Cath you are a star of the 'personal' touch, just right these are, so much better than something mass produced form a shop. 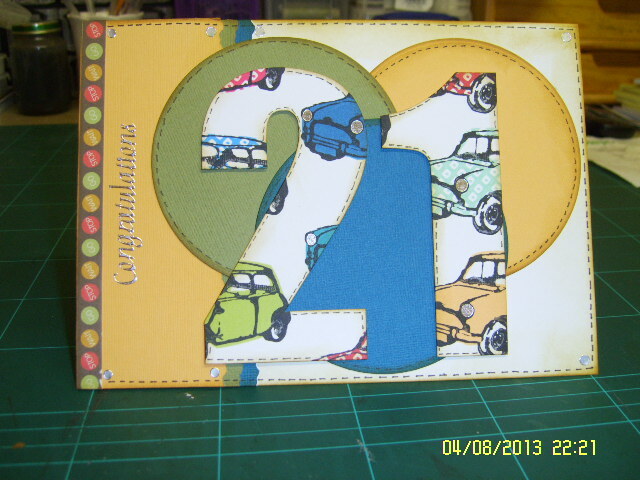 They are lovely Cath, the 21st one is great for a lads card. Yes, I thought the 21st card for your nephew was a great idea - and we're always looking for those sorts of ideas for males, aren't we. Karelyn's right: your personalised cards are always so good - the complete opposite of the ones you buy, where footballing and racing cars or shoes and cake are the antithesis of what the receipient is interested in. The numbers were actually printed ones I bought from Hobbycraft. I added faux stitching and distressed the edges. 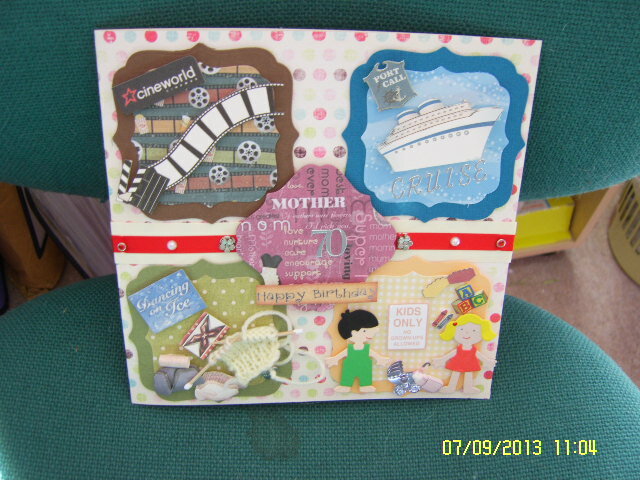 I love making the personalised cards although some things are hard to come by. I also did the knitting using cocktail sticks for the needles with pva glue on the ends. Excellent stuff Cath. Tuther's are right about your personal touch. 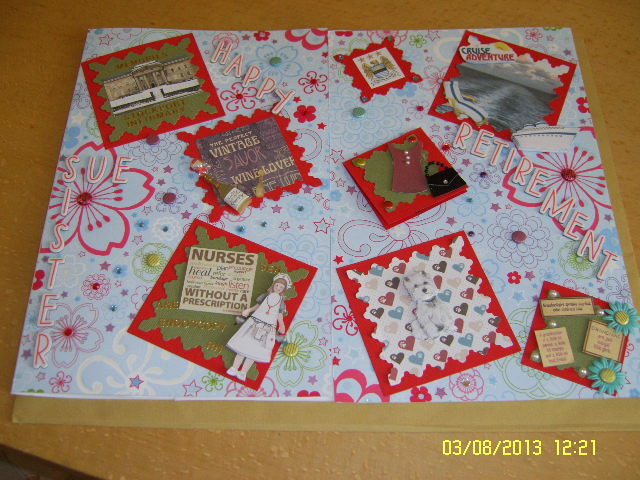 Great cards Cath and alot of hard work in them.